The Internet is an amazing thing. The answers to squillions of questions are just a click away. You have to be careful though. always ask permission before using the Internet. never tell anyone your name, address or telephone number over the Internet. only send e-mails to your friends. 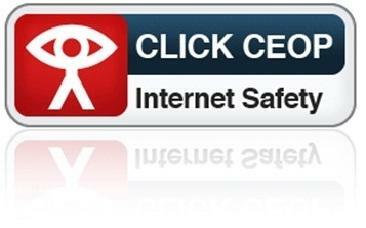 only go to Internet sites that you know are safe. be careful what you type into a search engine. always tell your parents or teacher if you are upset by something you see on the Internet. If you are upset by something you see on the Internet, or receive any unwanted emails or messages, click on the "Report Abuse" button at the top of this page. At Saffron Green Primary School, we encourage the use of computers and the Internet to support our lessons and homework. Our computer network at school is safeguarded against inappropriate content. Unfortunately, computers at home might not have the same level of safety. Always follow the advice above when you are using the Internet. That way, you will stay safe and protect yourselves and those around you.